This week we cover something that cripples athletes during training, playing and competition all of the time! CRAMPING. I remember the old school calf cramp solution; a bag of ready salted crisps #PerformanceNutrition – Good job bro! But, is there any logic to this. 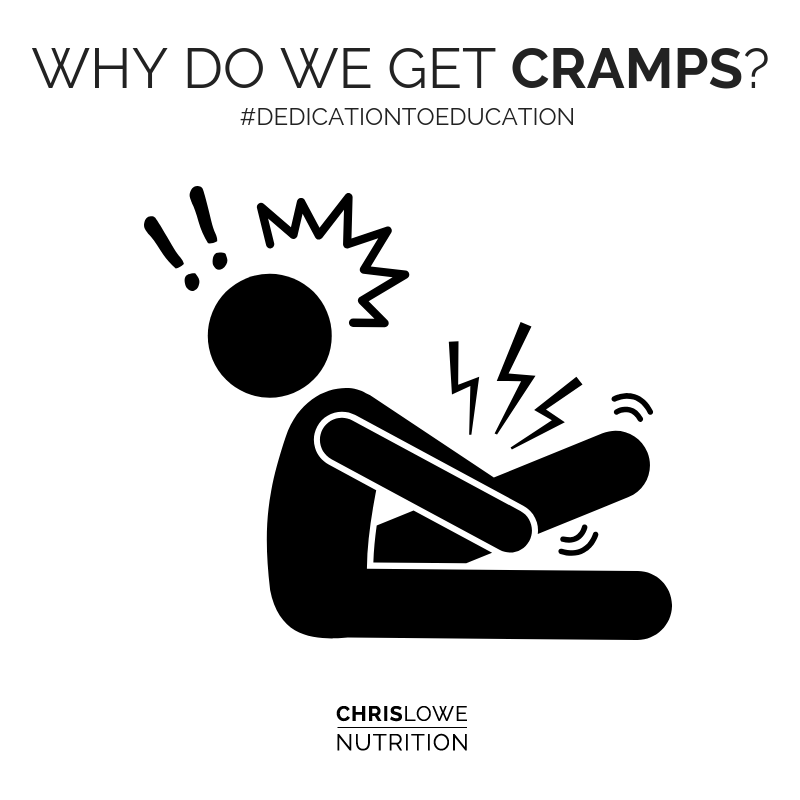 Whenever we think of cramping, we always think of electrolytes and hydration first. However, the strongest evidence lies within neuromuscular fatigue. **To over-science this; muscle fatigue affects the balance between the excitatory drive from muscle spindles and the inhibitory drive from the Golgi tendon organs (GTO)** Dafuq? Simply put; You overload the muscle, the nervous system contracts the same muscle but doesn’t get the message to relax it. Therefore, become stuck in it’s contracted state. Be mindful of these and let cramps be a thing of the past!